I have not driven at the track in 2 years. I have a track built s2k which is seriously the most fun car ive ever owned. Very fast and fun track car. My wife has a 2013 BRZ, e85 and bolt ons. Much faster than a stock brz but still not as fast as an s2k. Fun track car though. 2 years ago I bought a c5Z with an LS3. Nothing special, just about 40hp more than stock or so. Amazing to daily drive if you dont mind the rattles and an electrical issue here and there every 1-2 months or so. Very balanced, similar to a BRZ on a canyon road (never tracked it), great daily. Steering is not as direct though and direction change not even close to a BRZ/S2000. You will have to add bigger brakes/track pads and lots of cooling mods if you want to do more than 3 laps without overheating something. Drove it for 2 years as a daily and it was fantastic. Cant beat letting go of the clutch in 2nd, in traffic, and it just goes. Interior is cheap and like I said earlier it rattles ALOT. Just bought a c6Z with about 600hp last week. It looks awesome and is crazy fast. Had it not been for my job requiring me to take last minute trips anywhere in the world would I take it too the track? Maybe but I would be scared shitless and probably wouldnt be having as much fun as driving the s2k or BRZ at 10/10ths. Yes I bet you the C6Z would be faster at 8/10s but definitely not as much fun. The c5z, yes. Not overpowered, balanced etc but have to spend money to make it track worthy. A stock BRZ can be made track worthy with just decent pads and an oil cooler. S2k doesnt need anything except pads if you are quick. That said, there is a perfectly trackable, very fun BRZ for sale with FlexFuel, new brakes, new clutch, tune, headers and oil cooler for sale by my wife. Oil cooler too. The plan is to sell it so we can get the funds to convert the S2k to a daily drivable car for her. Feel free to come by for a test drive. The car runs great, she just wants something different and more challenging. If you are interested, shoot me a text at seven one three, 202, four four 74. Comes with all stock parts just in case you dont like the loud exhaust. 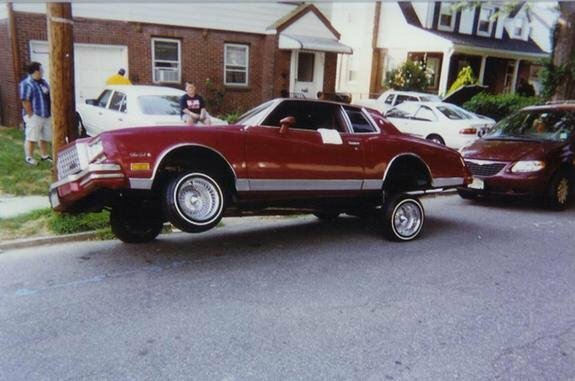 Also extra sets of wheels so you can mount your track tires. I'm mostly just messing with you about the E36. I love the car, but I've had bad luck with mine in particular. I've been Stockholmed bad I think, hehe. Looking forward to seeing some corvette pictures in this thread! It's official, the Miata is sold! Buyer came by and picked it up today. Have mixed feelings about it. It was the first project car of many that actually served a purpose. Put a lot of time, and even more money into it. It introduced to the track world and you lovely folks. It's served it's purpose for 3 years, and now it's time to move on to the next toy. And the search begins! If anyone comes across a C5 Z06, keep me in mind. And you know this....how? LOL!!! Buy the car you like the most. That’s all it matters. Especially when it breaks down. I've owned both a C5 Z06 and a C6 Z51. If I could have one back it'd be the C5. I'd say if it'll be a track toy that you'll drive on the street only occasionally, go C5 Z06 all the way. If you'll be doing trips or DD'ing it, C6. Either way you'll need better seats (or at a minimum these) for sure in addition to the normal track prep stuff. Based on a buddy's recent experience prepping a C5 Z06 to be track ready (granted he did go a little extreme) I'd recommend trying to find one that's already prepped to some extent. The cost to get one setup right can add up pretty fast. As others have stated consumables can be expensive, which is why I now own a miata, but they are a ton of fun. I might have found a C5, but would like to have a mechanic do a preowned car inspection to make sure everything looks straight. 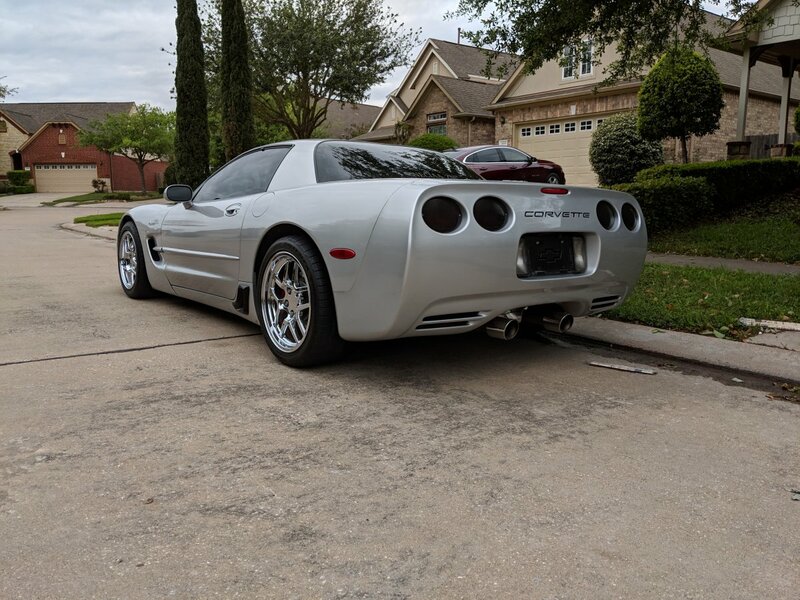 Is there any mechanic who specializes in Corvettes in the Houston area you'd recommend? I think Grassroots Motorpsorts magazine did a C5 "what to look for" when buying type of article a while back - yep, just confirmed - April 2018 mag. They are on Part 7 (April 2019 mag) of their PROJECT ULTIMATE CORVETTE with a C5Z (04 Lemans Edition with carbon fiber hood - only one that came with it I believe). Not sure if it is on their online / forum yet. 2010-2013 got rid of the Z51 option and replaced it with the Grand Sport. It looks like the major difference between this and the Z51 is the dry sump oil system. Question is, how manditory is the dry sump oil system for the LS3? The reason GM went with a dry sump in the Grandsport (manual transmission), Z06, and ZR-1 is the widebody and the big tires. Once things starting getting sticky and lots of sustained lateral G's on the wide body cars GM found a dry sump is needed. If you get a narrow body (LS2 or LS3) then you get a wet sump (factory). There are numerous baffled pan options out there that prevent the oil starvation issue even on sticky tires. Improved Racing probably has the best choices though, tons of oil system upgrades for the Corvette. As someone who is currently tracking a base, I advise against a base model. Get the Grand Sport instead if you're going C6! That is assuming you're expecting to go fast in advanced levels. The dry sump will help safe guard against the engine being oil starved on sweepers. The base model has limited tire widths (limited mechanical grip) vs the wide body Vettes. I've maxed my tire width out at 275 front and 305 rear...about the safest I can fit under the fenders...and the tire selection for these sizes is pretty limited. There's also cooling goodies that come with a GS that you'll want. Plus it just looks way better IMO. Stock seats should also be better on a 2012/2013 GS I believe. So ya, just the wider wheel/tires and dry sump system alone is worth the extra cost for a Grand Sport IMO. It had the automatic "flappy paddle" wrong transmission. It was big. It had lag between shifts. You cant see out of the thing. The audio controls kept getting bumped by my palms - replacing my Tach view briefly with something about audio selections...And it was still sublime. Torque for years. Predictable. Brakes that could stop murder in Chicago. Any it plays the song of my people at full volume anytime you press the happy pedal. I'm in love by lap 3. I am seeing light from heaven shin upon me by lap 4. By lap 5 I'm in Kill Mode. The car is SO easy to learn and go fast in. I couldn't believe it. I came upon him in my hereto beloved track BRZ and got a point by on the left. I didn't even bother to wave. As a weird yet slightly related aside, the current and previous generation Camaro's are cheap and surprisingly good. The Gen 5 (what I have) SS is heavy and you can tell. If you can get over that, the good news is it's so easy to drive hard. Who cares if you can't see out of it...the Miatas behind you are rapidly disappearing..:P (calm down I'm joking!!). The LS3 is easy to add power, and you can always add lightness to some degree. With simply headers and intake, mine easily made 417whp (and that is pretty low for those mods on this car...). Simple cam upgrade can get you close to 500 depending on how far you want to take it. Lose weight to say...3700lbs @ 520rwhp ($6k in parts for the power) and that's a pretty decent power to weight. You're welcome to drive mine sometime if I ever get it back on the road. MCS 2wnr are coming soon, brakes are pretty solid and power is more than enough. If I'm at any track as y'all at the same time you're welcome to run it. It's not the same as a light car with lots of grip, but if it's a relatively HP favored track it's pretty good. Randy Pobst really sold me on this thing. While the 'vettes he drove were faster, he had less good things to say about them in general at the limits. Took some time but ended up finding something I'm happy with! 2003 C5 Z06 with 78k miles. Replaced the little Miata with a big Miata. Going to enjoy it as a daily for a bit and then start researching on what should be fixed/replaced to have it ready for track use. The valve springs is the only thing I've come across so far. Any help on this would be appreciated! The car comes with an MGW short throw shifter. Its REALLY stiff, both with left and right movements, and into gear. I might have pulled my neck throwing it into 1st. 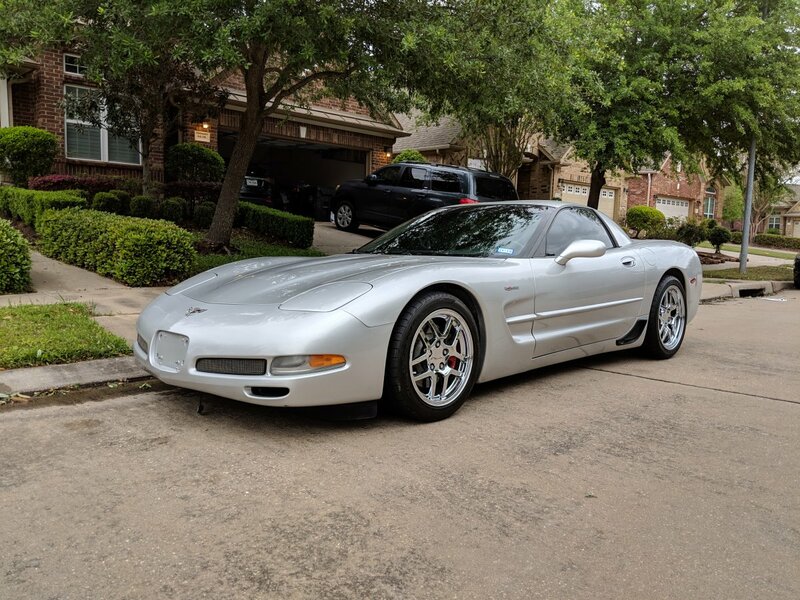 Is there a reputable corvette shop in Houston anyone would recommend? I'd like to have someone take a look at it and see if this could be a quick fix. Tracktime performance isn't necessarily a corvette shop but are very familiar with them. I use them for a lot of work on my car. Tracktime performance isn't necessarily a corvette shop but are very familiar with them. I use them for a﻿ lot of work on my car. yep kurt is gone tho.